Juan De Austria is centrally located in Madrid, a 3-minute walk from Anden 0 and 10 minutes by foot from Sorolla Museum. This 4-star hotel is 1.5 mi (2.4 km) from Plaza de España and 1.8 mi (2.8 km) from Prado Museum. Make yourself at home in one of the 45 air-conditioned rooms featuring minibars and flat-screen televisions. Complimentary wireless Internet access is available to keep you connected. Private bathrooms with shower/tub combinations feature bidets and hair dryers. Conveniences include phones, as well as safes and desks. Satisfy your appetite at the hotel's coffee shop/café. 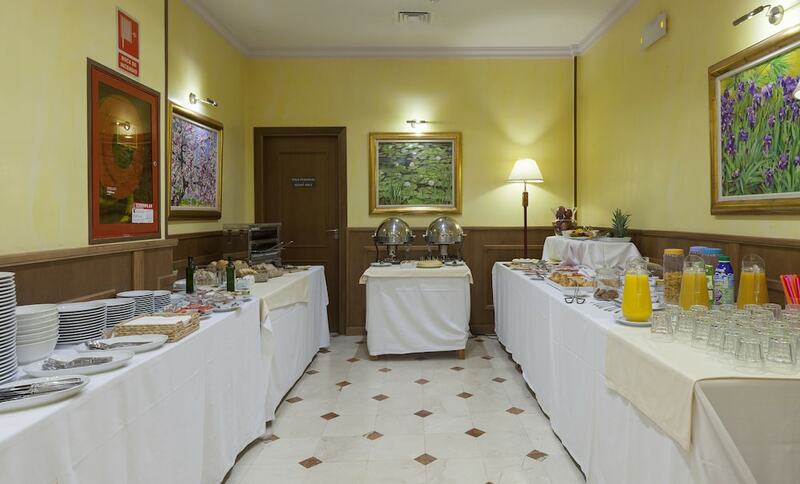 Local cuisine breakfasts are available daily for a fee. Featured amenities include a 24-hour front desk, a safe deposit box at the front desk, and an elevator (lift). This hotel has 4 meeting rooms available for events. Self parking (subject to charges) is available onsite.